The library is on the second and third floors at the center of campus. There are no exterior entrances directly into the library. 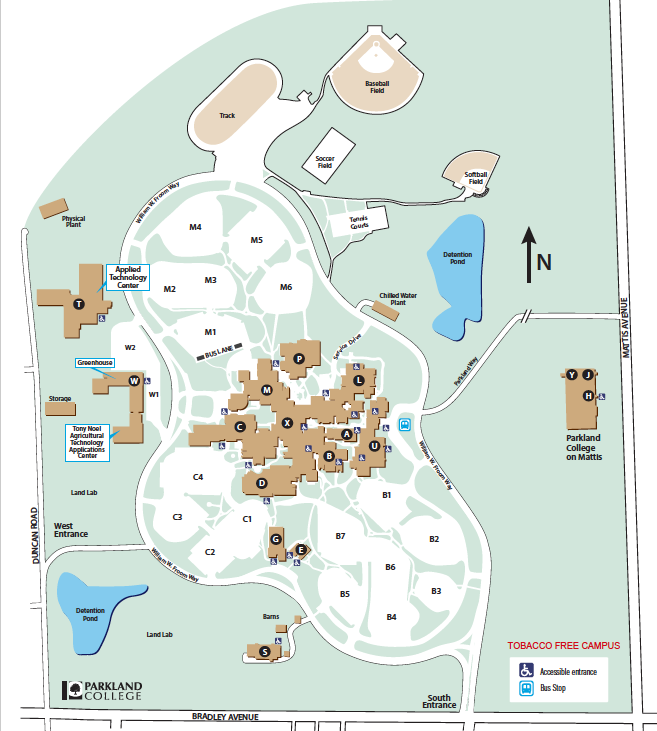 If you're unfamiliar with campus, your best bet is to park in Lot B7 on the south side of the college. Walk north into any entrance and work your way to the center of the building. Ask for directions! Parkland is confusing to navigate at times, people are generally very helpful. Our main staircase ascends from the center of the "X Wing." 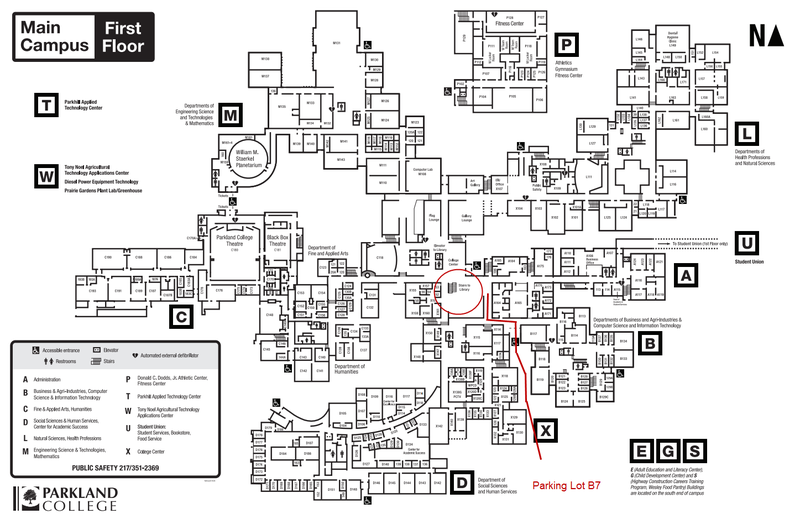 Elevator access to the library is via elevator X1.